Submitted by mark on Sunday, February 4th, 2018 at 9:27 am. 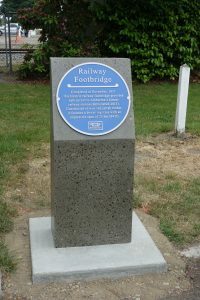 Historic Places Mid Canterbury has unveiled their first Blue Plaque marking the Centenary of the Ashburton Railway Footbridge. The plaque was formally unveiled at 10am on the 24th November. There was a very well attended celebration Morning Tea at the Ashburton Museum afterwards. 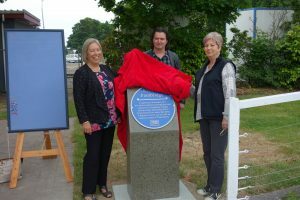 Ashburton District Council who sponsored the plaques casting.